West Indies had won the first Test by a massive 381-run difference while the subsequent Test by 10 wickets. It has not been luck or chance, the home side has worked extremely hard while the travelling team has been nothing short of horrendously complacent. 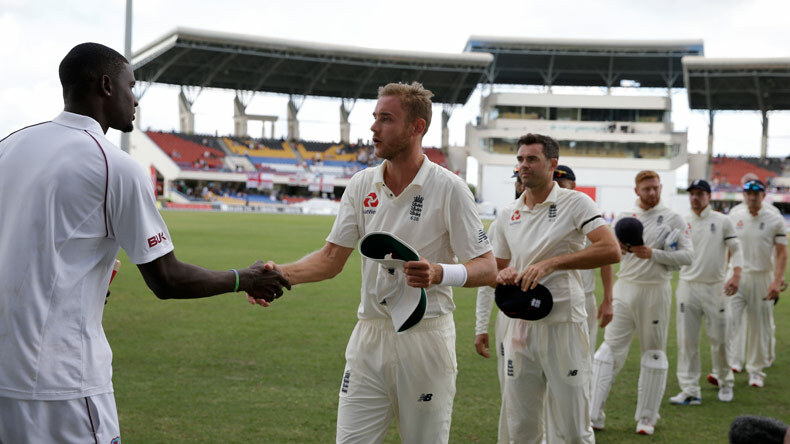 After registering two resounding victories on the trot, West Indies cricket team has an unassailable lead of 2-0 over England in the ongoing 3-match Test series. Apart from the obvious factor of winning, the two sides will lock horns on Saturday in the third and final Test match at St Lucia for two distinct reasons. West Indies sits on the cusp of repeating history – clean sweeping England in a Test series – while England needs to save themselves from utter humiliation before they begin Ashes tour against Australia. The entire top order of the Caribbean side is in red-hot form while the bowlers, especially Kemar Roach and Roston Chase, have been consistent and equally lethal. Jason Holder has been one driving factor in West Indies series triumph, but he would miss the upcoming match due to a suspension handed to him for slow over rate. While England batters have been absolutely abysmal with the bat having been bowled out completely in all the four innings they have played in the series so far. Interestingly, no English batsman manages an average above 27 in this series. Among bowlers, only veteran James Anderson has been a ray of hope for the visitors while the rest of the bowling attack has failed to produce magic and has been thoroughly hassled by the Caribbean batsmen. Jason Holder would have been the first player to watch out for in the upcoming game but since he will be missing the game, all eyes will be on Kemar Roach. The pacer has bagged 13 wickets in the series so far picking up crucial Engaldn wickets and he has all the mettle to thrash the opponent with the bowl. Another West Indies bowling starlet who can deal much damage to the struggling English side is Roston Chase. He single-handedly demolished resurgent England in the second innings of the first Test match claiming 8 wickets and helping his side to a 381-run triumph.